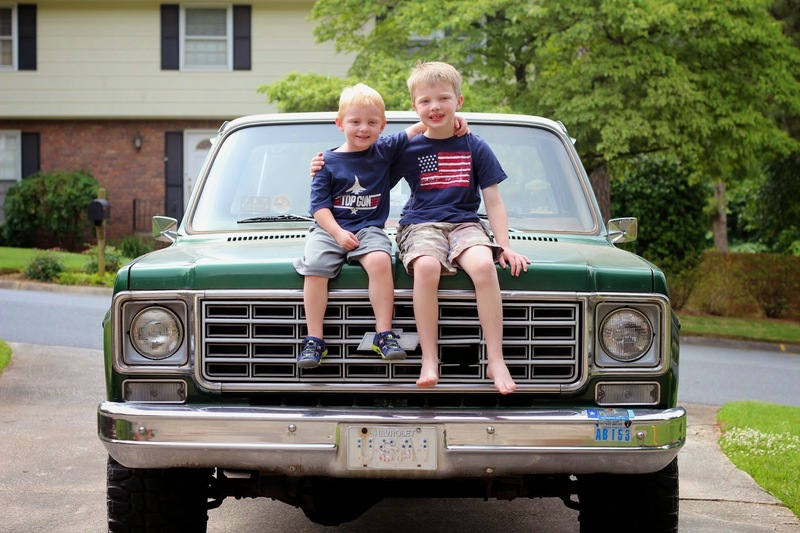 God Bless the USA... Y'all are spending the day running errands with Dad in Grandpa's 1975 Chevy. I think that faded USA license plate says it all. Faded but never forgotten!